South Jakarta Small Medium Enterprises Cooperation and Trade (KUKMP) Sub-dept. curates 123 products from Small Medium Enterprises (UKM) and Small Medium Industry (IKM) under it.
" Besides license, it must also be equipped with trademarks, halal certification and others"
Later on, UKM and IKM products that have good quality will be distributed in modern market. KUKMP Sub-dept. 's Kebayoran Baru Urban Village Unit Head, Heriyanti conveyed, modern market must contain at least 20 percent of UKM and IKM products. "We ask Pasar Raya Transmart to fulfill its obligation and they agree with it," she stated, Thursday (3/23). She explained, her side should curate products from UKM and IKM in her area before being distributed to modern market thus it can compete with other products. "Previously , we only curated products from Kebayoran Baru Sub-district. But later, all UKMs in South Jakarta could also join," she said. Currently, her side is still curating around 123 UKM products. 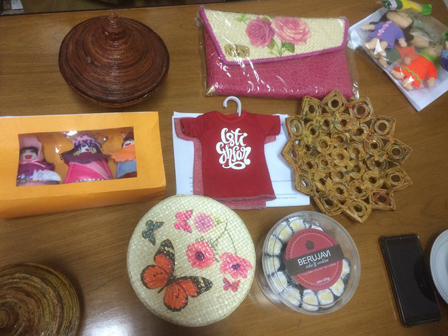 There are various products, such as foods, beverages, and handicrafts. "Most of them don't have license yet, but we will keep accompany them. Besides license, it must also be equipped with trademarks, halal certification and others," she added. She targets to finish curating those UKM products this May. Thus UKM products could enter modern market in Ramadhan.